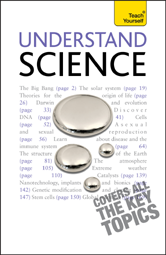 Broken down into short, easy-to-digest sections it covers everything from evolution and cell biology to star formation and plate tectonics. Including sections on what technology may allow us to do in the future, and even looking at when science has gone bad, Understand Science will change the way you see the world around you. 23 Hot enough for you?